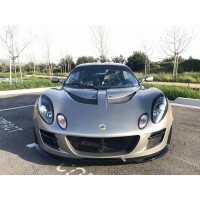 This special offer is for the whole front end conversion kit to transform any S2 Elise from 2001 ..
Cup style rear hatch cover for the V6 Exige. 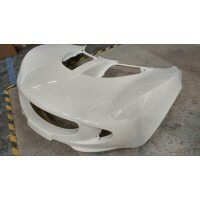 Made from GRP but the weight is not too far away..
Now available we have the front clamshells for the V6 Exige! 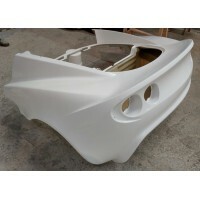 Full fitting/painting service av..
Now available we have the clamshells for the V6 Exige! Full fitting/painting service availabl.. 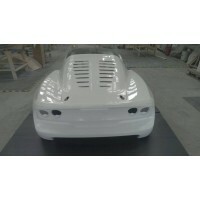 Here we have the front Clam for the Lotus Elise S1 Full fitting/painting service available at.. Here we have the rear Clam for the Lotus Elise S1 Full fitting/painting service available at ..
Two part splitter suitable for the 2010 MY Lotus Exige front clamshell. Hand made using the same ..
Front access panel covers for the 2004 onwards S2 Exige. Astonishingly the list price on the OEM ..